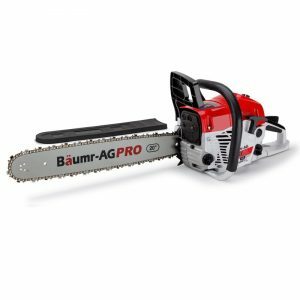 Fire up the Baumr-AG Pro 20” SX52 Chainsaw and let the huge power of its 52cc engine and direct injection carburetor do the work - effortlessly slicing through any job with a lightweight 6.4kg body and balanced design ensuring easy use and maneuverability. 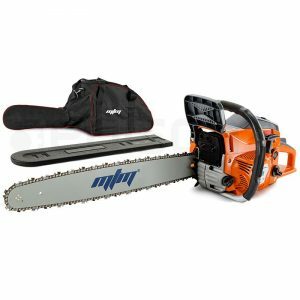 Add to this a great list of features including a patented "A-VIBE" anti-vibration system, quick tension chain mechanism and integrated chain brake and you've got one seriously powerful sawing companion. Jam packed with features, it comes ready to work with a quick chain tensioner, fast primer, auto chain brake and correctly sized 20" bar for fast cutting and superior performance. 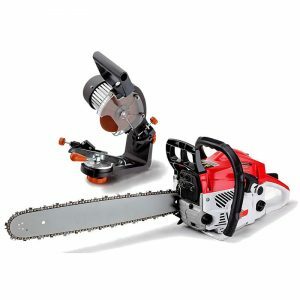 Make no mistake, this fast revving, perfectly balanced unit packs some serious punch, with Baumr-AG's premium range patented air injection carburetor delivering enough power to take on a whole variety of different jobs - from tree work, preparing firewood and sectioning those small to medium branches, to clearing overhang and removing bushfire hazards. 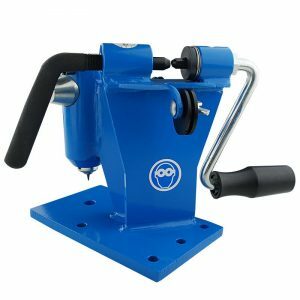 As an added bonus we are also including our Pro-Series 350W Chain Sharpener! It will not only allow you to keep your chain sharp but also allows you to make fine adjustments to angle, pitch and depth of grind. Optimal precision is made possible by the SURELOCK clamping system and in-built LED guiding light. You can be rest assured that your correctly sharpened chain will not buck or kick-back, and it will provide hours of service as if it were brand new! Plus thanks to its super light 6.4kg design, ergonomic grab bar, 360 degree cutting capability, superior oil feed, premium saw chain and lightning fast safety brake, using this little beast is always a pleasure. This fantastic package comes backed by Baumr-AG's unparalleled level of quality together with an extensive 12 month warranty. 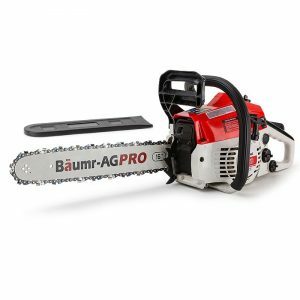 So get your hands on one of the hottest selling chainsaws in Australia, order your Baumr-AG 52cc Chainsaw today!